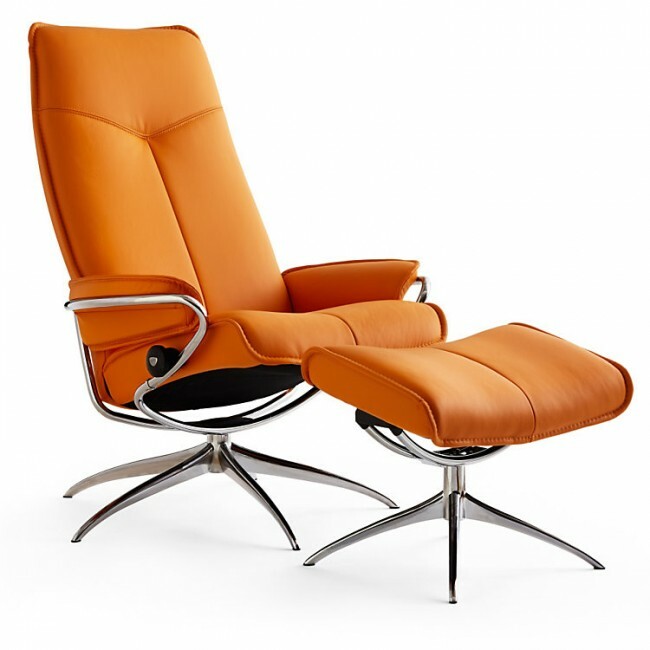 The Stressless City High-Back Chair and Ottoman is designed with you in mind. 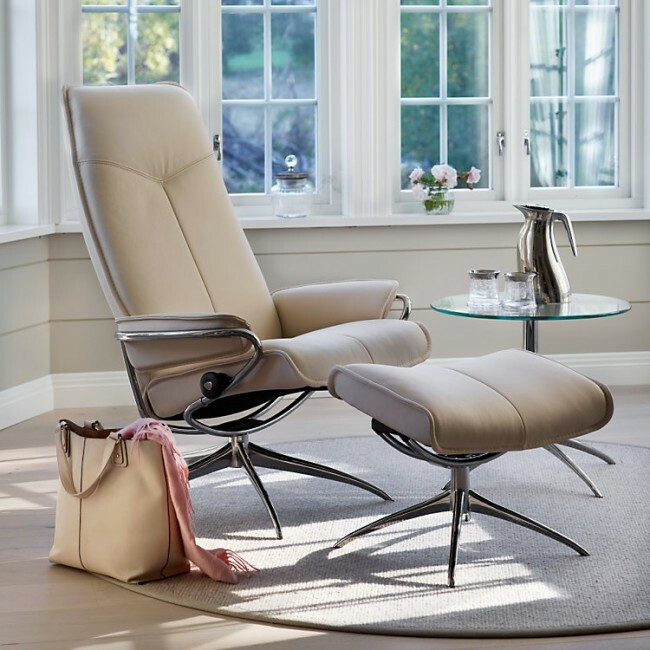 With all of the unique features that you can expect from Stressless, this chair will prove comfortable, convenient and durable. Patented Glide and Plus systems ensure that your chair will work and move with you, not against you. 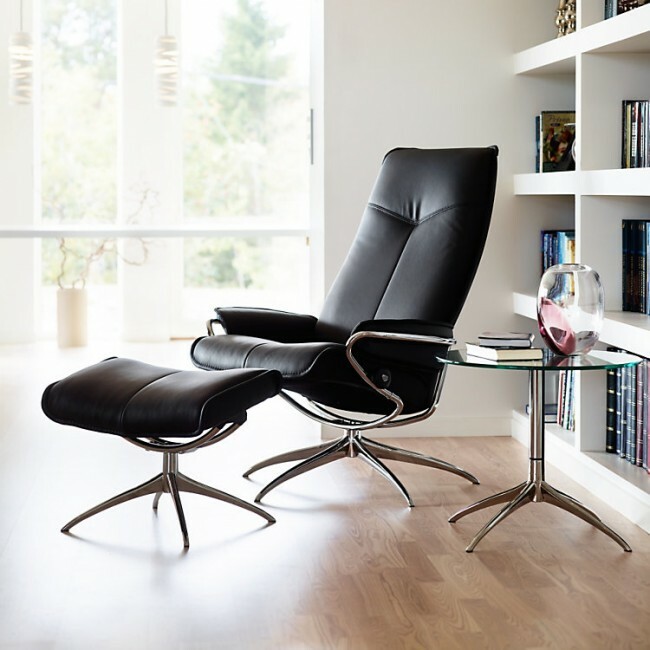 Designed for optimum comfort, the Stressless City High-Back Chair features a cushy double layer of space-age foam that is molded directly onto the frame and a swivel base that lets you rotate a complete 360 degrees with the push of your foot. The free-standing ottoman comes with a built-in glide function that moves with your legs, providing extra comfort and mobility. Double stem base for added stability. Swivel base lets you rotate 360 degrees while seated. Glide system that allows you to shift seating positions by responding to your body movements. 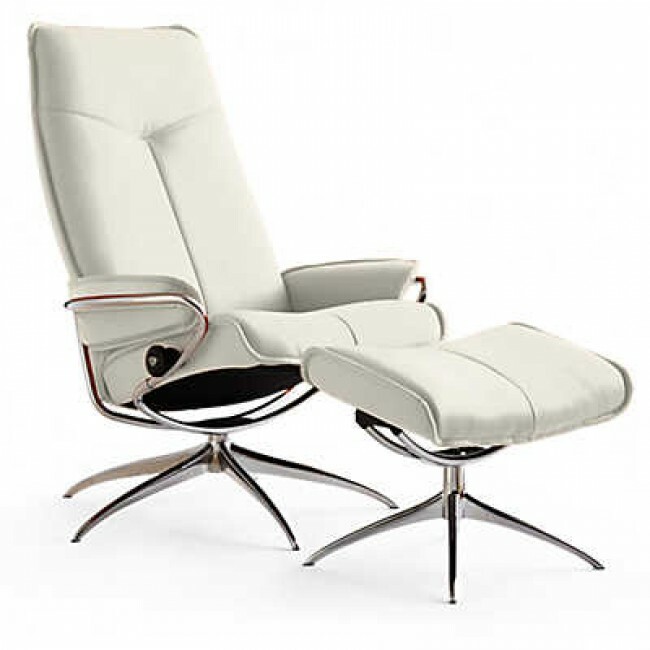 Plus™ System controls lumbar support and automatically adjusts headrest depending on your position. 2 layers of foam for maximum comfort. Free-standing ottoman with built-in glide function.